The Chinmaya Movement emerged, grew, and expanded into a worldwide spiritual organization of Vedantic teachings based on the strength of its Study Groups. 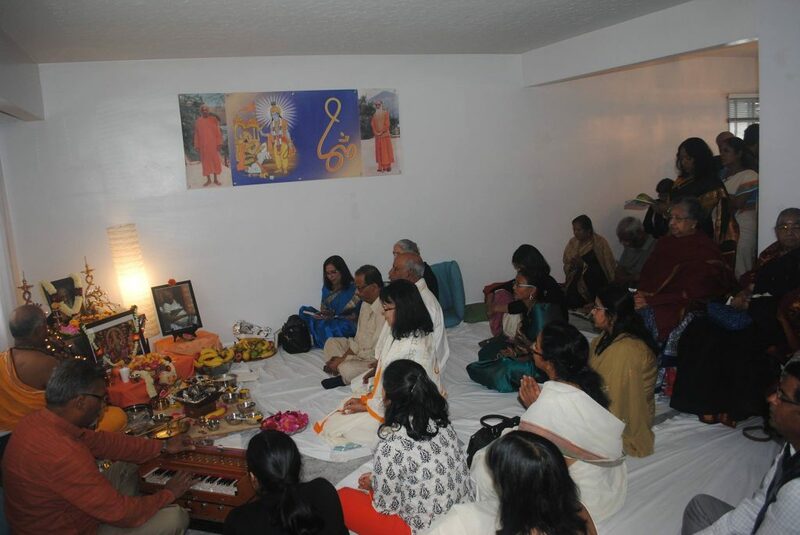 Study Groups began through the enthusiasm of the thousands who attended Swami Chinmayananda’s talks and yajnas, and felt the need to continue regular scriptural studies. 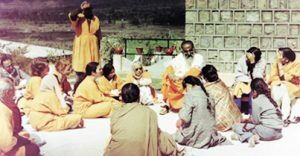 To sustain the inspiration of these sincere seekers, Swami Chinmayananda formulated and began Chinmaya Study Groups with a systematic syllabus that took into careful consideration the spare time of the average householder, a student’s typical attention span, and the appropriate level and order of texts to be studied. The course of study was designed so that even a beginner in scriptural studies could follow the curriculum without feeling overwhelmed. 2. to cultivate the art of communicating this scriptural knowledge to others. 6.Applying the teachings in daily life. In an atmosphere of satsanga, Chinmaya Study Groups foster and develop love and understanding among members, strengthening the Chinmaya Pledge concept of “We stand as one family…” Members’ families also greatly benefit through the aspiring member’s value-based living and spiritual practices. By living an integrated life, members better society; in turn, healthy societies build wholesome nations and a peaceful world. Study group sessions are free and open to all. If you are interested, please email info@chinmayacalgary.org.